Hamsters are cute, cuddly, and very interesting to observe. They make wonderful first pets for children and are relatively easy to care for. Knowing the steps required to keep a hamster happy and healthy is necessary so it lives a long and comfortable life. One of the most important actions to take after obtaining a hamster is to bring it to Sheehy Animal Hospital if a medical problem becomes apparent. 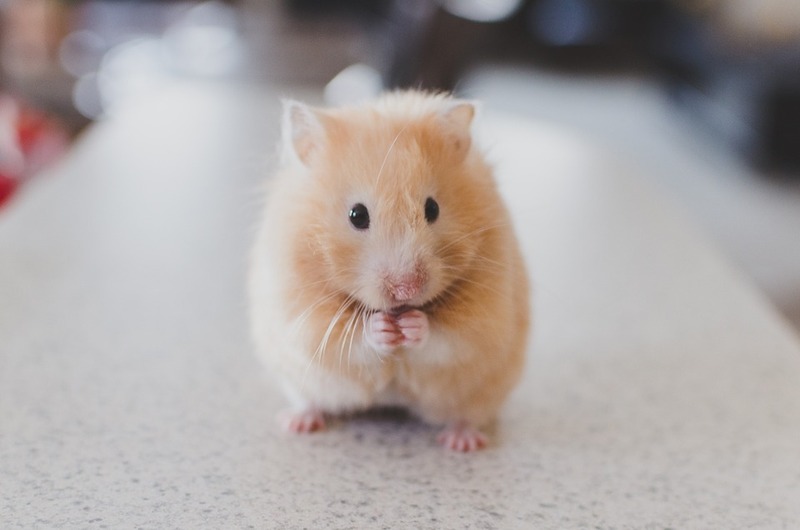 Here are some tips to keep in mind when caring for a hamster and how bringing it to our Livonia Animal Hospital can help when an ailment sets in. There are a few items you will need to purchase for your hamster so it remains comfortable. A cage is necessary as hamsters can run away and become lost if they are not contained properly. Look for a cage with a secure latch so it cannot be opened easily. An aquarium with a lid could also be used. Bedding is necessary to place in the bottom of the container so your hamster has an area for nesting and hiding food. This will keep them warm and helps to keep their feet from becoming injured. Hamster food is available at pet stores and comes in a variety of flavors. A water bottle is necessary to hydrate your pet. Lastly, toys such as a running wheel will keep your pet entertained and active. It is extremely important that you clean out your pet's container every few days. If you do not remove and replace the bedding, bacteria could cause a variety of problems for your pet. Do not use soap on the interiors of glass panes if you keep your hamster in an aquarium. This could make your pet sick. Instead, rinse the container with water and wipe the walls with a clean cloth. Make sure to handle your hamster so it becomes used to your presence. During these handling sessions, check over your pet's body for any signs of injury or illness. A hamster with runny or crusty eyes, lumps on its body, or red cuts on its skin means it needs a trip to our veterinarian for an assessment. Our vet will check over your pet and prescribe medication or give you recommendations for treatment as needed. In addition, watch for signs that your pet is sick. If your hamster does not seem interested in food or is lethargic, a trip to our vet is best. Hamsters require trips to our Livonia Animal Hospital when they are under the weather. Contact Sheehy Animal Hospital to meet our Livonia veterinarian by calling 248-206-3030.